Mauritius is a country blessed with an enviable climate and stunning scenery. Here, expats will enjoy participating in a developing economy while taking advantage of the low taxation and cost of living that is more affordable than in European and Western destinations. The cost of living in the country is relatively higher than other African nations. According to the World Bank, the country has an upper middle-income economy and is considered as one of the world’s top luxury destinations. Living expenses in the capital Port Louis are nearly 300% more expensive than in Karachi, India. The cost of living in Mauritius is also higher than in Thailand, South Africa, India, Romania, and Estonia. However, it is still cheaper than other major international cities such as New York, London, Paris, São Paulo and Dubai. Housing is the third largest expenditure of an expat in Mauritius whereas around 18.1% of his monthly income goes to the rental fee. The cost of living in Port Louis, the capital is 54% cheaper than London, but the heart of Mauritius is still one of the most expensive cities because it is the country’s centre of economics that houses several large businesses and shopping malls. Around 200,000 people live in Port Louis including the majority of the expats in this country. Those who are willing to pay a pricey rent will benefit from the short travel time going to the capital while expats who need to stick to a budget can consider searching for accommodation outside the city centre. Utilities are seldom included in rental cost and expats in Mauritius should budget at least Rs 1,900 or USD 55-60 to cover their monthly electricity, water and heating consumption. Internet connection with a speed of up to 10mps normally costs Rs 1,250 or USD 35 per month while local mobile prepaid calls are billed at Rs 1.78 or USD 0.05 per minute. 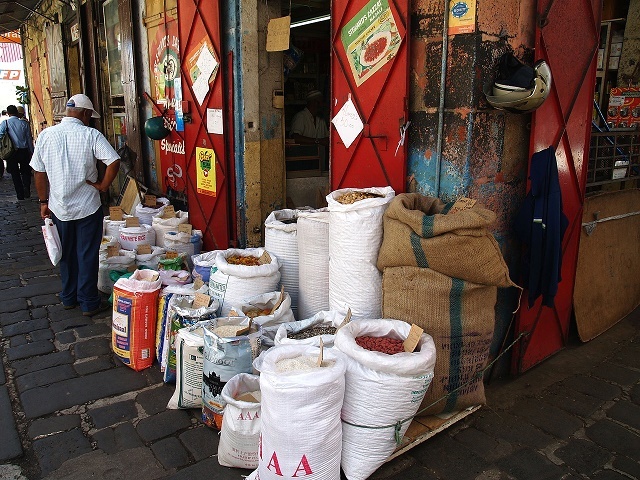 Items bought on the market are the highest expenditure that accounts to nearly 35% of an expatriate’s monthly budget. Most main cities have large shopping malls such as are Super U, Jumbo and Spar where expats can purchase food and wine from Southern Africa and Australia. Products sold in these major grocers have similar prices to those in the United Kingdom. While baguettes are best bought in the supermarkets, many locals buy fruits and vegetables from the local markets where the prices are cheaper. Below is a short list of some foods in Mauritius along with their most updated prices. Transportation accounts to nearly 20% of an expatriate’s monthly budget in Mauritius. There are no railways in this country so the primary way to get around is by road. Foreign nationals who want to drive can do so. However, they still need to take out insurance and a road or vehicle tax. The amount depends on the car’s engine size and the expat can choose to pay for three, six or 12 months. Taxis and buses are the primary types of public transportation in Mauritius. Take note that there are no monthly pass for buses and taxis don’t have metres so passengers need to negotiate the fee of their journey before stepping in the vehicle.